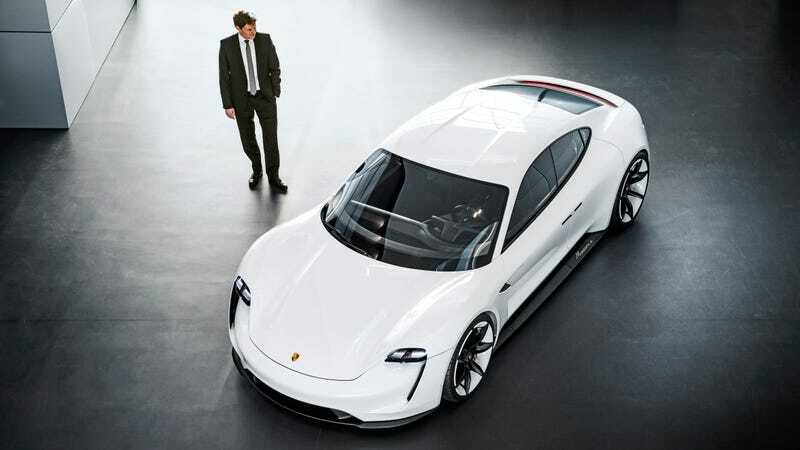 Porsche has invested a lot of money—reportedly over six billion dollars—into its Mission E electric program, and the first production-spec model to come out of that investment is the strangely-named Taycan electric performance sedan. Previously, Porsche had planned on producing as many as 20,000 examples per year. Based on the pre-production reservations the company has received already, Porsche has hired 1200 additional workers specific to Taycan and doubled production estimates, according to Automotive News Europe. In not so many words, Porsche has confirmed that it expects the Taycan sedan to out-sell the iconic 911 sports car model, which sold just over 35,000 units last year. If Porsche is cranking up production of the Taycan to near 40,000 units, it must know that the investment is worth making. We don’t yet know the full specifications of the Taycan, but we know it will have a pair of permanently synchronous motors for at least 600 all-wheel-driven horsepowers. We suspect the range will be above 300 miles. It’s going to be quick. And it’s going to come with crazy fast 800v charging. And we know it will cost less than a Panamera.